THE ROAD TO KHALISTAN: Back To The Inquisition! Who seeks refuge on the mountain. Today Military commission charges were handed down that seek the death penalty against CCR's client Guantánamo detainee Mohammed al Qahtani. No military commission against Mr. Al Qahtani will ever achieve justice. Instead, it will deteriorate into a controversy over secret trials and the United States' well-documented torture of Mr. al Qahtani during interrogations at Guantánamo. 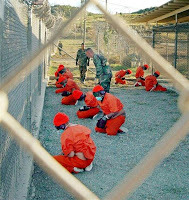 For the past six years, the United States government has refused to conduct traditional criminal trials or courts martial against Guantanamo detainees suspected of wrongdoing. Instead, the military commissions at Guantanamo allow secret evidence, hearsay evidence, and evidence obtained through torture. They are unlawful, unconstitutional, and a perversion of justice. Now the government is seeking to execute people based on this utterly unreliable and tainted evidence: it is difficult to imagine a more morally reprehensible system. 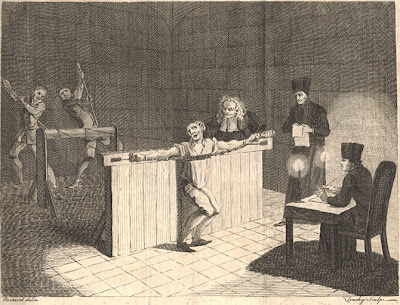 Executions based on secret trials and torture evidence belong to another century. These barbaric sham proceedings will likely to inflame the controversy surrounding Guantanamo and draw the condemnation of even our allies. Career military officers have already resigned because they could not stomach participating in a military commission system that goes against every principle of justice, due process and the rule of law. In particular, they were opposed to precisely the kinds of issues that will be the focus of Mr. al Qahtani's commission - the United States' use of torture and subsequent efforts to hide the criminal conduct of U.S. personnel. Mr. al Qahtani may be the one charged today, but it is the illegality of his interrogation under torture that will be tried in the commission. Regardless of the results, no one will ever have confidence in the outcome of these military commissions. The United States has nothing legitimate to gain from prosecuting prisoners in military commissions at Guantanamo and a great deal to lose. What kind of a nation have we become that we would rely on torture evidence, secret trials and an untested and deeply flawed system to impose the death penalty? Our nation must abandon the failed experiment at Guantanamo. If the administration believes Mr. Al Qahtani has committed a crime, he should be charged and tried in a lawful proceeding worthy of our country.